“We can be the iTunes for finserv,” was one of the messages from Avaloq CEO Francisco Fernandez on company strategy and software functionality. 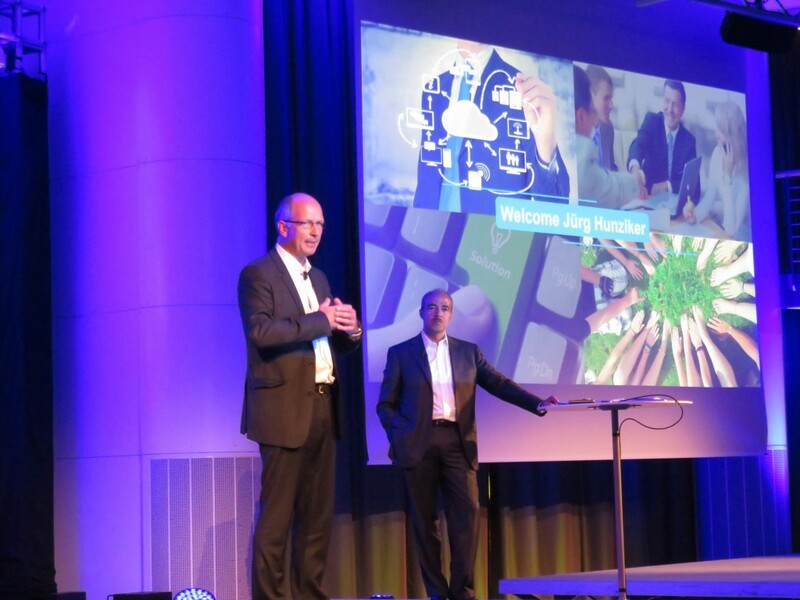 This morning at today’s (7 September 2016) Avaloq Community Conference at the Seminarhotel Bocken in Horgen, Switzerland, the private banking software specialist is holding an open day as it looks to the future. Addressing the customers and partners, Fernandez says people can download developer tools from its website as the company continues last year’s strategy of inviting start-ups to join it in co-inventing the future of banks. It also has been showcasing its new vision on designing a better user experience. In Fernandez’s opening presentation he also says for the firm the future is “utility” – and as an example adds that “we no longer own books, we read them.” For Fernandez the same is true for CDs, cars, and many other facets of modern society. In terms of the future, Avaloq expects around 46 go-lives this year. Fernandez is also very adamant on its performance – “we never killed a project and we are unique in this”. There was, however, a terminated partnership with Banque Internationale à Luxembourg (BIL) to build a business process outsourcing (BPO) centre for the Benelux banking market and to implement Avaloq Banking Suite at BIL. The two parties could not agree on the commercial terms of the joint venture. One could argue that this happened before any work began. As the open day is an opportunity for Avaloq to present its strengths, the firm says in the UK 49% of those aged 60+ use digital banking. Age is no barrier to embracing something novel. Avaloq believes it can tap into these digital desires from the grey brigade, but will naturally have competition. Away from the presentations and product displays, Banking Technology did an exclusive interview with Fernandez. Among Avaloq’s major clients is HSBC. The project to renovate and standardise HSBC’s private banking operations worldwide has been going on since 2013. The work is done out of HSBC Private Bank in Geneva. There has been much fanfare at the time of the deal announcement, but since then both HSBC and Avaloq have been quiet. When questioned about this silence, Fernandez says the situation is “not untypical” due to the size of the bank. He believes these things simply take time, when pressed to further explain he offered a “no comment” and says the firm is under a non-disclosure agreement (NDA). Avaloq has also enjoyed a healthy year – and some of it at the expense of ERI’s Olympic core banking system. The latter has lost out to Avaloq on a number of deals (e.g. Hinduja Bank and Banque Privée Edmond de Rothschild) and it appeared that Avaloq was actively pursuing ERI’s database. Fernandez denies this and cites other wins – unrelated to ERI – as evidence of its wide-ranging ambitions. Here, Fernandez was able to reveal a bit more and was noticeably more talkative. The firm is under an NDA (again) but Fernandez says for its retail banking ambitions, one large retail bank will be disclosed soon. More updates on the event later.